Talent Army were Platinum Sponsors for our second Django Girls workshop, which we held last December. 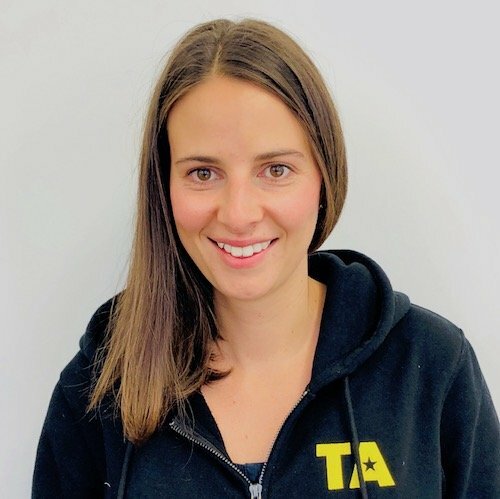 We spoke with Adela May, Talent Army’s General Manager, about what inspired them to support Django Girls and women in tech. Can you tell us a bit about your role and your company? Talent Army was founded to help companies in the tech industry optimise their recruiting and employer brand strategies. I’m the General Manager of our Wellington office where I work with a range of startups and digital agencies. I love being able to help my clients successfully grow their team and company. What inspired you to sponsor the Django Girls programme? At Talent Army, we believe diverse teams are the best teams. They lead to better products and services and provide a great place for employees to learn and grow. Gender diversity within organisations is of particular interest to us. We really believe in the ethos of Django Girls – to inspire women to fall in love with programming. Every additional female taking up a career in programming is a great thing for the industry. We feel lucky to be able to help an organisation like Django Girls be a part of this. Why would you recommend participating in the Django Girls? I can't think of a single reason NOT to. It's a super fun day where you’ll meet a great group of passionate females, and learn something new! The Django girls do a great job of creating a safe learning environment where you feel comfortable throwing yourself into something new. It's amazing what you can build when you put your mind to it. Did you have an influential person or mentor, and how did this person help you? I worked at Skyscanner in the UK for four years, which was my first introduction into tech in general and to a rapidly scaling tech company. My boss at the time was extremely influential. She invested a lot of time upskilling me, which was great for skill development, but I think the main reason she was so influential was that she had a huge influence on my approach to my working style and how I viewed myself. She encouraged me to try things outside of my comfort zone. She gave me room to make mistakes and learn from them. She allowed me to input into my role and shape it in-line with my interests. Most importantly, she gave me the confidence to see the value in my work and opinions which led me to strive higher and higher each day. I’m lucky to have a similar influence in my current role with the founder of Talent Army. I’ve never had a dedicated mentor but it’s one of my goals for this year. There’s a ton of research on the benefits women get from a mentor, and I completely agree it’s a worthwhile exercise. I’d encourage everyone to try and have a mentor at some stage in their life, and when the time is right give back. So if anyone reading this wants an enthusiastic mentor then hit me up! What are your thoughts on the gender imbalance in tech? I recently read a statistic via NZTech Women that women occupy only 23% of professional IT roles overall. So, I believe it's a problem we can't ignore. I'm saddened by this stat as I believe women can have very rewarding careers in IT and be extremely valuable to companies as well. However, on the flipside, I know there are many great initiatives and resources, like Django Girls, ShadowTech, NZTech’s TechWomen initiatives, women networking groups that are actively trying to fix the gender imbalance. This gives me hope. I think males need to step up and play a bigger part in fixing gender imbalance. I personally would love to see males taking an interest in, and attending, some of the networking events centered around gender diversity so we can tackle this problem on a united front. What do you think are the most important conversations that are, or aren’t happening right now around women in tech? As recruitment is my field of work, the conversation on how to manage gender bias in the recruitment process really interests me. From the wording of job adverts (masculine vs feminine language), to how we stop conscious and unconscious bias in regard to filtering candidates, to how we actually create an interview process that is diverse in its content. Do we create quotas so we have to have a certain percentage of women in the workforce? And then as an added layer, quotas in management, C-level teams and boards? Is this the right tactic? These threads interest me at present. I’m also interested in the role males can play in helping stop gender imbalance. Will encouraging them to come to our conferences, talks, networking sessions etc, educate them on what gender imbalance really is and how it affects women in tech? Will it inspire them to change their behaviour? What advice would you give to young women getting into the tech industry? Believe in yourself and your ability. Build up a network of supportive people (male and female as you will learn different things off different people). Give support to others in your industry. Find a working environment that believes in gender equality and/or is making positive steps towards gender equality, so you can have a positive experience entering the tech industry and get a lot of growth opportunities. Who in the tech field inspires you, and why? I tend to find I’m inspired not by one person, but by many. I often find at networking events, conferences, or even some external meetings, I will get inspiration from someone who presented or someone who I’m interacting with. I guess the common theme I tend to get inspiration from is someone who exhibits a passion for their craft, and their desire to make an impact to their work, or a movement such as the gender imbalance. I think being able to get inspiration from numerous avenues is great, as it allows you to appreciate lots of different views, and an inspired Adela is an Adela that works harder. As some recent examples, I attended the UX conference last year and saw Serena Chen speak. I was blown away by how passionate she was about her craft and how much she was just owning her space. I'm not a UXer and that managed to inspire me! Or just last night I was at a meeting around a mentorship circle I am helping techwomen organise, and the mentors blew me away with their excitement to give back to women in their industry. What’s the most important thing people should know about Django Girls? It's a not-for-profit organisation. These people are giving up their free time and resources to give back to their industry and help women find a pathway into tech. The more support the industry can give them the better.